Today I have a wonderful gift to share with you. 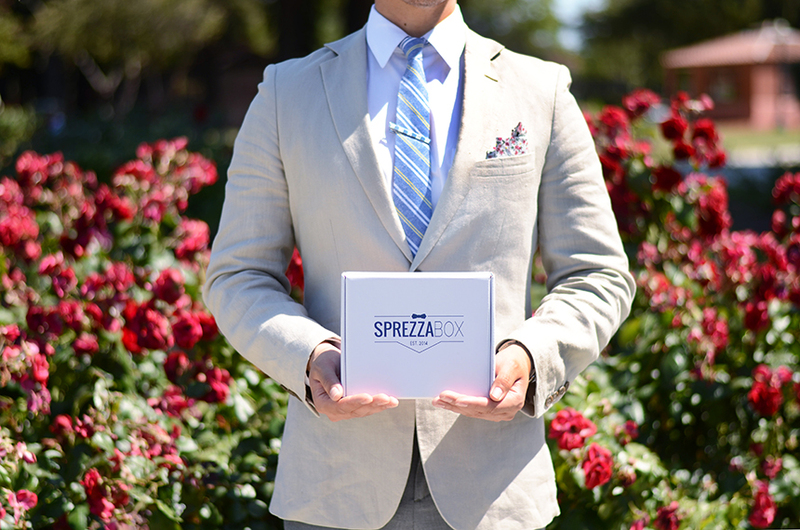 It is a 15% off code for your very own SprezzaBox! 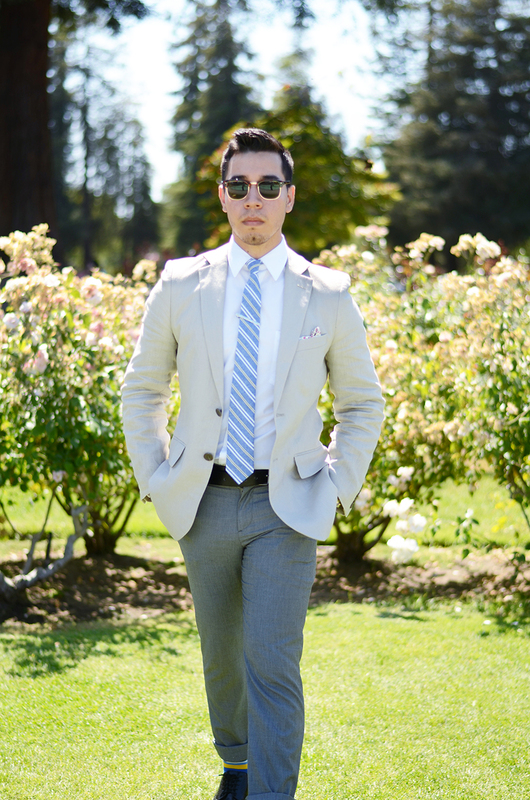 What is a SprezzaBox you may ask? 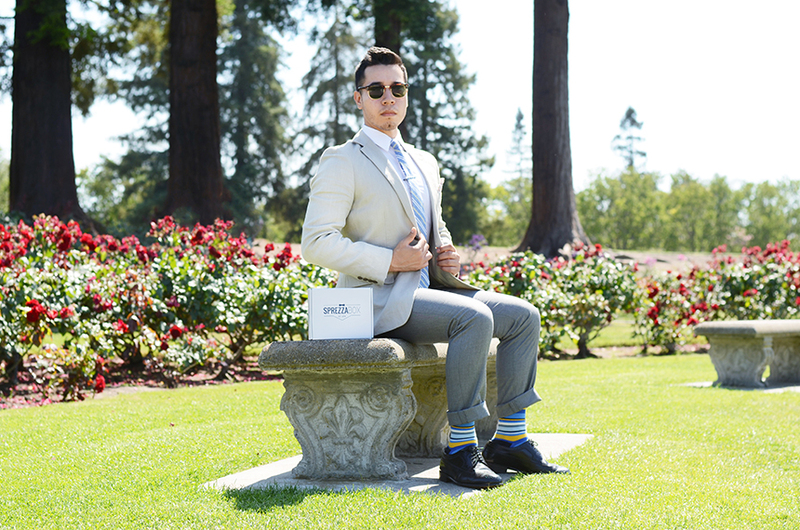 It's only the most dapper accessories kit out on the market. 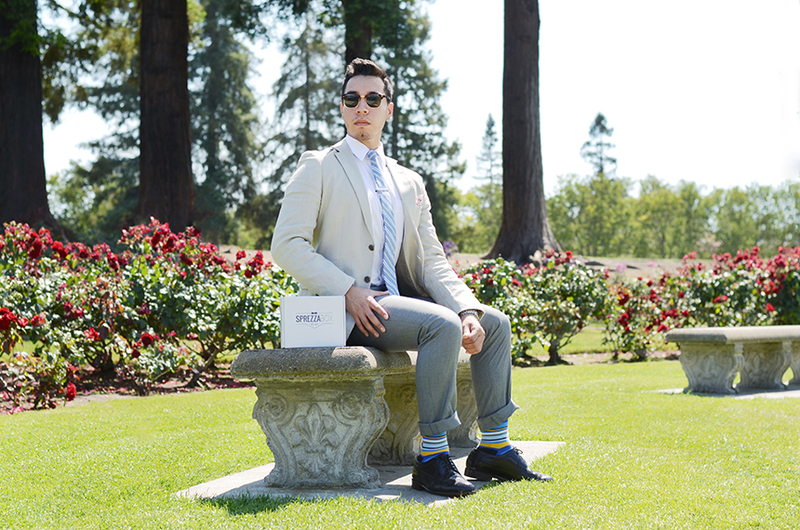 Nearly every dapper fellow and dapper lady out there are registered for a monthly subscription, and the best part is that the shipping and delivery is absolutely free. 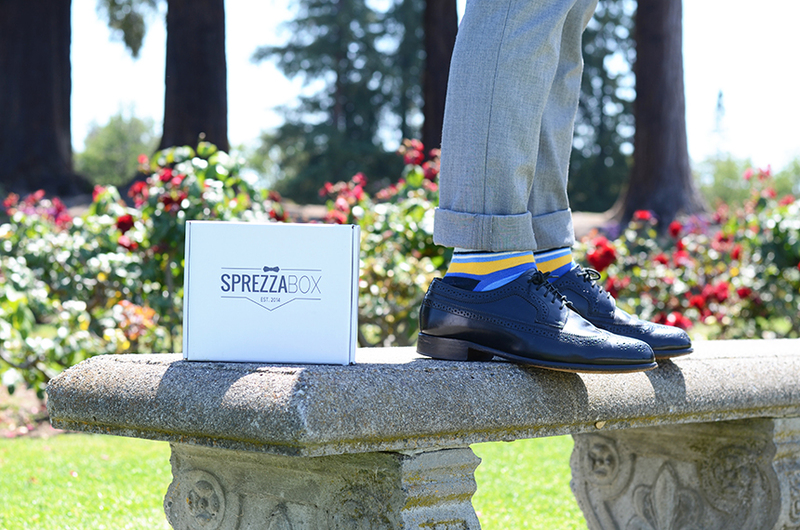 SprezzaBox will send you a complete package of 4-5 lifestyle accessories that may include a tie or bow tie, a pocket square, a lapel flower, a pair of socks, some leather goods, shaving cream and or toothpaste. Sounds great, right? 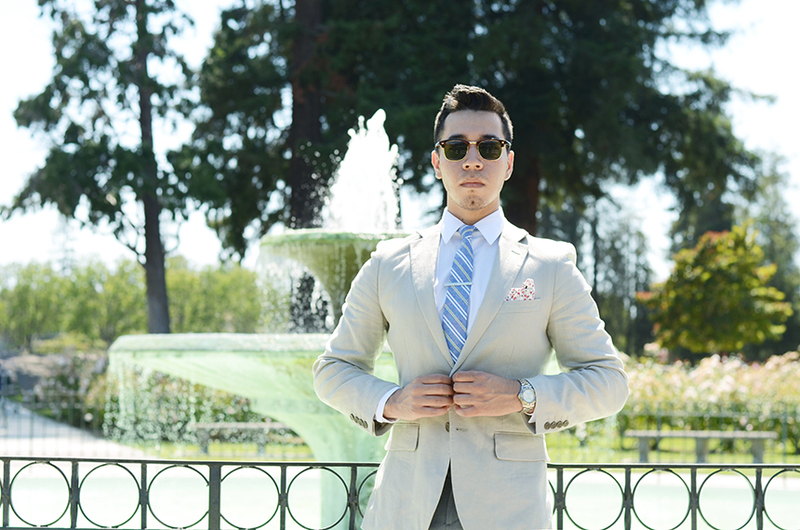 SprezzaBox packages is curated to the modern men and women's rapidly changing fashion trends. 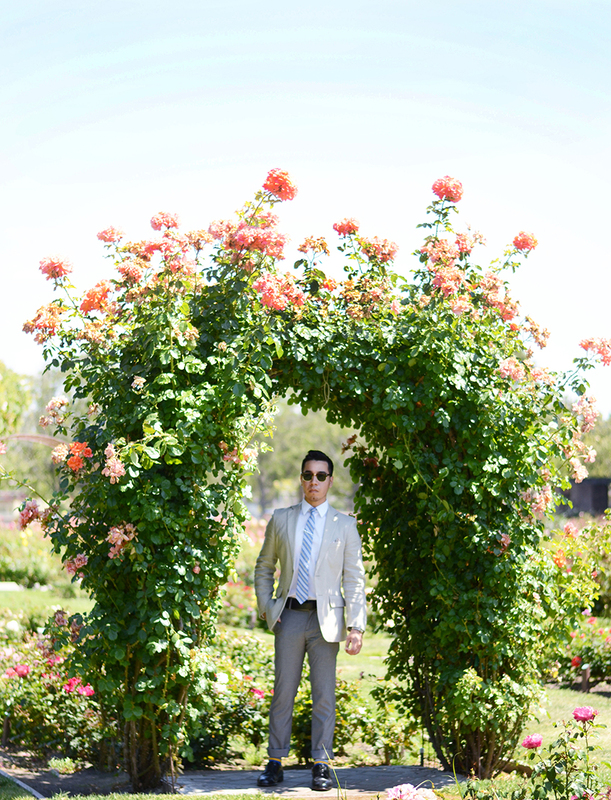 Regarding more about this look, this month I took a trip to the San Jose Municipal Rose Garden in my finest summer threads. 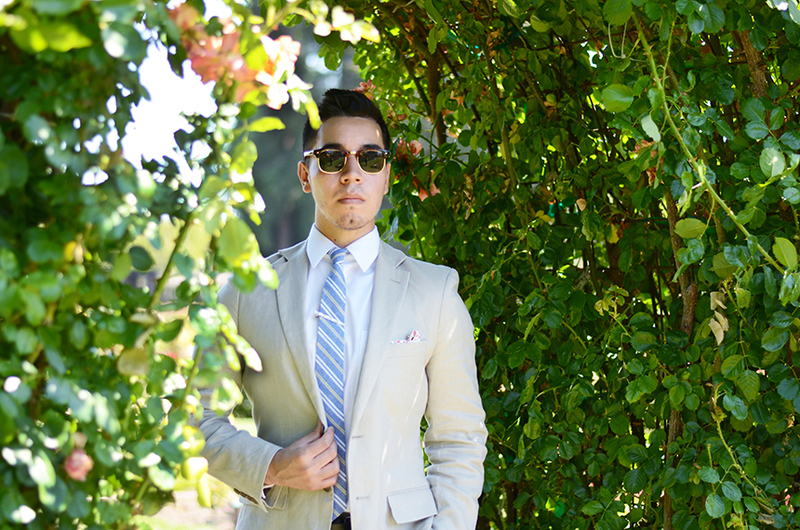 I thought that a cream colored blazer with a white shirt was fitting for the hot summer sun. And I was exactly right, it definitely was. If you haven't noticed I usually wear a lot of dark colored clothing and occasionally wear few lights. 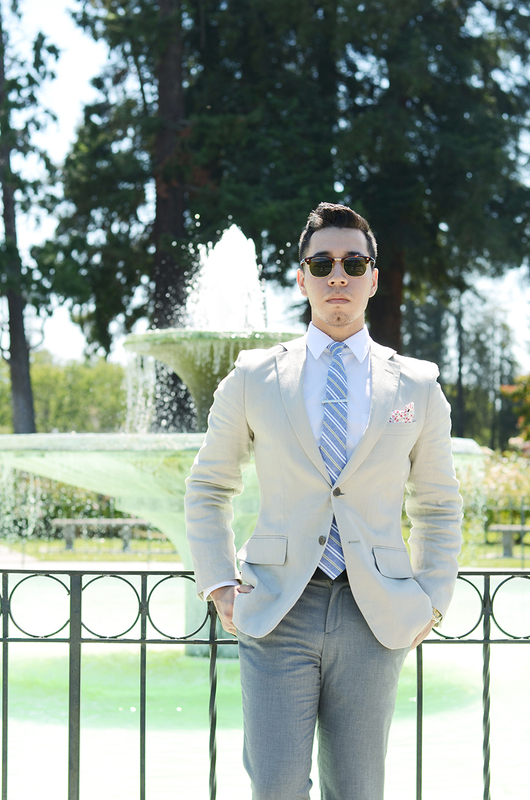 The light colored clothing not only served as functional attire but also complimented the very intricate striped pattern of the tie and socks I wore. 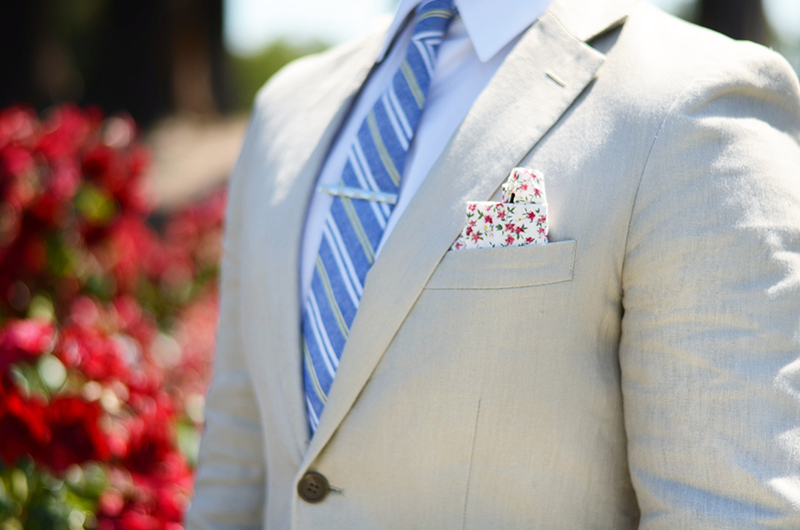 Too much pattern or colored garments would distract from the uniqueness of the accessories. Sometimes less is more! Well folks, I think that just about wraps it up. Until next time! Ciao!